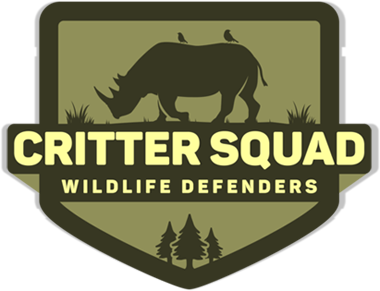 Support the Critter Squad Mini-zoo by sponsoring one of our Critters! Get a discount on your next event when you recommend a friend to us! Do you have unwanted old cages, towels, or toys? The Critter Squad mini-zoo is always in need of many items you might have sitting right at home. Want to become a Wildlife Defender? Register for classes today!! !